Founded by Jeff Cirino in 1993, Alpha Planning & Financial Services, Inc. is made up of qualified financial professionals who are passionate about helping individuals and families achieve their ideal retirements. Jeff has been a well-known fiduciary advisor for over 25 years. In addition to giving year-round workshops on Social Security, Tax Planning and Investments, he has been heard frequently on radio stations WTAM 1100 and WHK 1420 in Cleveland-Akron, Ohio. Ever since founding the firm, he has developed his team’s skills in using advanced planning concepts, with a primary focus on clients nearing or already in retirement. Jeff has great passion for the challenge of helping usher people through the complex process of the retirement transition. He understands the confusion and stress people may sometimes feel when approaching financial issues at this important phase of their lives. 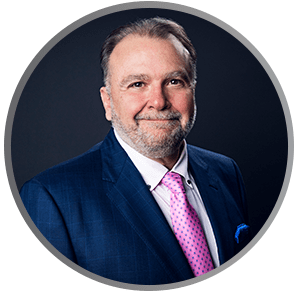 Throughout the years of growth for his firm, he has written three books, “The Complete Guide to College Funding” (2003), “The Skinny on How to Have a Fat Retirement” (2013) and his latest work, “The BIG Squeeze: How Boomers Can Survive and Thrive in the New Retirement Frontier” (2017). Jeff is a lifelong accomplished pianist and guitarist. He lives in Brecksville with his wife, Elizabeth, and sons Reese and Foster. The family is very active as volunteers for several charities as well as the Cuyahoga Valley National Park. Aaron Simpson is a financial advisor at Alpha Planning. After working college summers at a financial firm in his hometown of Vancouver, Canada, Aaron joined the industry full time in 2016. He focuses on helping clients by creating and implementing personalized planning strategies designed to maximize retirement income and wealth. Graduating with a degree in Business and Communications from the University of Mount Union in 2012, Aaron has always had a passion for helping others work through challenges and solving complex issues. He enjoys cultivating long-lasting relationships with clients that are built on trust and transparency in order to best serve their interests and achieve ultimate retirement satisfaction. Outside of the office, Aaron enjoys the warm weather months around Ohio playing golf, hiking in the Cleveland Metroparks and spending time with his wife, Megen. He also enjoys traveling and experiencing new cities around the world. Wendy Hutchison is a Notary Public who has over 25 years of experience working at financial and insurance-based organizations as the primary point of contact for both clients and institutional groups. The Alpha team is very fortunate to have someone with Wendy’s people skills and operations management. Wendy has become an invaluable client relations and service leader in assisting clients with any and all service requests, networking and sharing the Alpha Planning philosophy.